Vacationing in Aruba doesn't limit you to the beach - there are many other activities you can do ... here's 6 we think you will enjoy! Aruba - one of the most popular Caribbean vacation spots. Many flock to the sandy beaches and aquamarine waters for some much needed rest and relaxation, but - let's face it - you can't lay on the beach all the time ... can you? So, this still entails getting into the water, but it has its advantages. 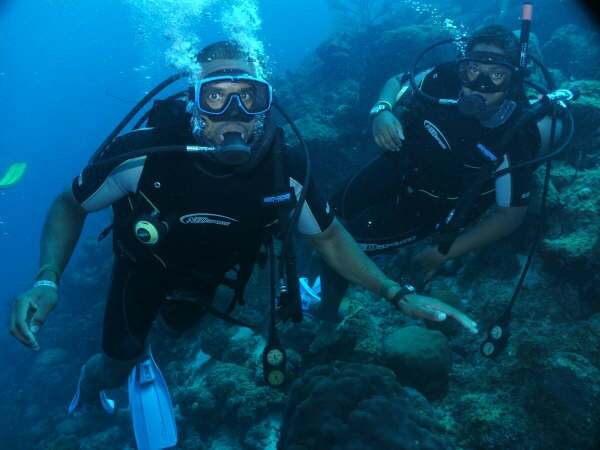 With a dive into the deep blue, you can study the rainbows of coral and watch the marine life up close and personal. You may even encounter a shipwreck! Dive Aruba can get you all set up. Hit the greens and enjoy an afternoon basking in the sun on some of the most beautiful golf courses in the world. This is luxury golf at its finest! 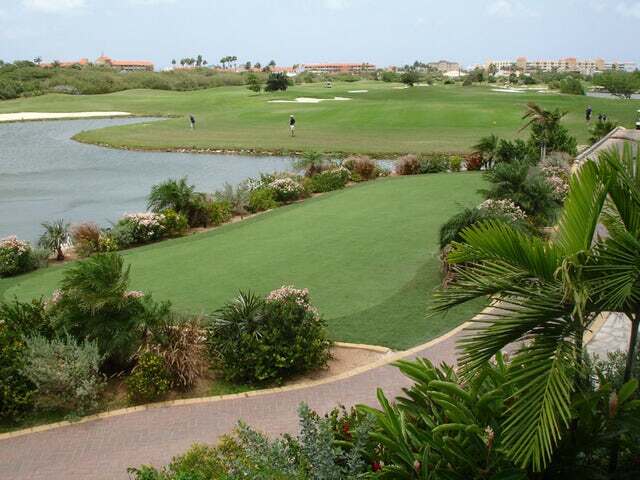 See The Links at Divi Aruba for golf information. No vacation is complete without souvenirs. 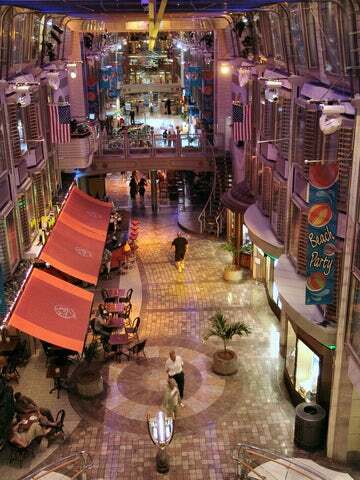 You can spend an entire day shopping the malls and marketplaces of Aruba. From fine name-brand clothing to funky dime-store treasures - Aruba's shopping district has it all! Take an afternoon to pamper yourself in one of many Spas and Health Centers in the city. Intermezzo Day Spa has a team of friendly, highly-qualified staff ready and waiting to help you rejuvenate, refresh, and relax. Try your luck at the slots or sit down for an intense round of Blackjack at one of several casinos. 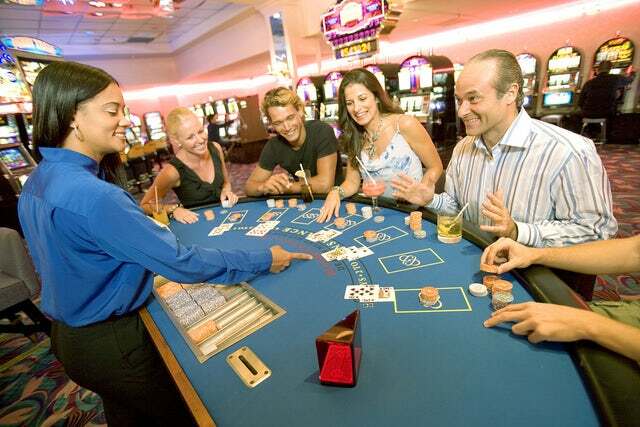 For a real feel of the Caribbean, try a game of Caribbean Stud Poker, invented in Aruba in 1988. 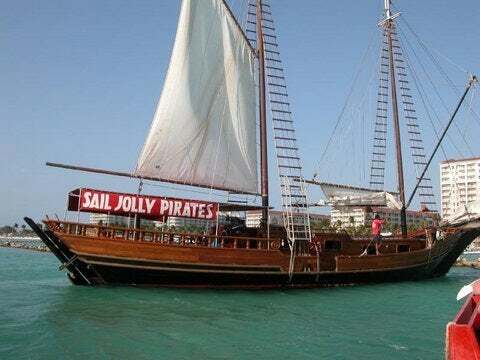 How about an evening cruise on a pirate ship? Tune up your "yo-ho-ho's" and get your sea legs ready for a fun night at sea. Jolly Pirates can hook you up! Book your trip to Aruba today!